New generations of gas engines are increasingly complex. The internal temperatures are higher and the engineers are seeking materials and capacitance sensors able to withstand these new parameters. 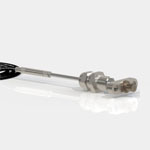 Capacitance sensors is a technology available to run blade tip clearance, blade tip timing and debris monitoring to improve the efficiency of the gas turbine. 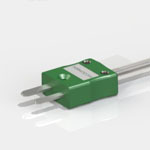 THERMOCOAX is a key player in capacitance sensors up to a working temperature of 1300°C for gas engine OEMs to improve the efficiency by monitoring clearance and lifetime from the blade vibration and debris monitoring. 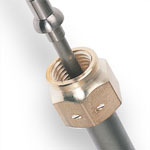 Based on a 1550°C brazing metal/ceramic assembly, no cooling is required. The test engineers will save time and reduce the cost of operation. 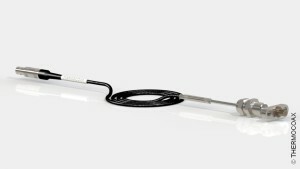 The strategic technology developed by THERMOCOAX offers a large range of designs to fit where space is a premium. 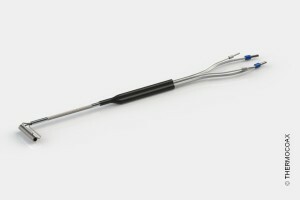 1300°C sensitive parts are manufactured based on a ceramic/metal brazing knowhow developed and qualified by the Thermocoax R&D team. The sensitive parts of each capacitance sensor receive a body designed to fit exactly the space available on the machine. Signal transmission is done by high quality triaxial mineral insulated cable manufactured in house. 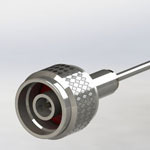 The small cable diameter, down to 1.5mm is a great advantage for integration on machines. The triaxial technology offers a good screen against electrical and magnetic disturbance.